Monitoring our health has become a great challenge these days. Consulting a doctor every week may empty your wallets in no time. So, what's the alternative way? There are several free apps waiting for you to install them on your smartphone, I mean waiting to monitor your day to day health. Here are some of the top health monitoring Android and iOS apps available on Google Play and iTunes. Choose one that best fits you for a healthy living and that too for free. The sleep Time app is available for iOS and Android devices, it helps you to monitor your sleep pattern. You have to keep it near you when in bed for the usage of the phone's accelerometer to sense your movements. It uses a variety of algorithms, it will wake you up at the most appropriate time. Don't worry you can set a 30 minute window between which it will wake you up, so that you are not late for anything. The apps tries to wake you up in your light sleep phase, thereby keeping you feel rejoiced and relaxed, instead of cranky and irritable. A 15 MB file size with one million installs shows you how popular it is on Android platform. This app is free for the Android devices and for iOS Rs 55. Smoking is hard to quit. This app can help you through those trying times . You can make an incremental quit plan. Once you have quit, it will start counting how many minutes of life and money you have saved by quitting it. It also has motivational content should you feel the temptation to light one up. As days go by, it recognizes your effect and gives you badges and awards at important milestones. It is a free app and only available for iOS devices. If you are an Android user, search for QuitNow! which works similarly to this app. Besides having the thrill of achieving goals you can improve your health. That sounds good! 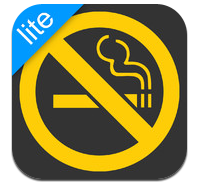 For windows phone users, Kick Smoking is a good free alternative. Good exercise is not enough to maintain your health and fitness perfectly, what you eat that matters equally. Lose It is a simply designed, non-intimidating application that helps you keep a track of your food intake. Enter your details, how much weight you want to lose and by when. It keeps a track of consumed crabs, proteins and fats, and gives you a head-up on your calorie intake limit. Although there's comprehensive database of food preparations in the app if something you are eating is not listed, you can update the info. 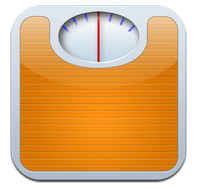 Lose It v 4.0.6 is currently available in iTunes and its a 14.7 MB file with good rating. This app is available free for iOS, Windows, Android and BBM devices. BodBot is a personalized trainer app. The content isn't overwhelming, it just asks you basic questions such as gender, the parts of your body that you need work, amount of time you have for workout everyday and preferences of workout location(home or gym etc). Then it automatically throws up an exercise schedule for you to follow. It also has embedded videos to show you exactly, how a particular exercise is done. If you don't like a particular type of exercise, it will give you an alternative. This app is available free for iOS and Android devices. Food is one of the keys to good health. This app has over 6,500 recipes and 1,200 DIY videos on how to cook a recipe. You have vegetarian, non vegetarian, regional and even vegan meals. Then there's also a 30- minute recepie section. Since Indian food can get rich and creamy, there's a diet section and a calorie measure for each dish. You can pose question to experts if you're confused. Lastly, the My kitchen features can give you a recipe based on the ingredients. Sweet 'n' Spicy app has been installed by one million Android users approximately. It's just 1.9 MB file and can be easily installed on your smartphone and has a 4.5 rating from users. This app is available free for iOS, Android and Windows devices. Endomondo is a popular social fitness tracker to track your physical activity. It supports a truckload of activities that can be monitored such as running, cycling, kayaking and skating. The interface is simply laid out the app(with the help of GPS) tracks the distance, time and speed of your workout. It also traces your path on a map. The history will show you the high and low points of your activity. It's not just about statistics, it even has audio cues that will help keep you motivated. You can give or take a challenge with other users to make it competitive. This app is available free for iOS, Windows, Android, BBM and Symbian Devices. It reached nearly one crore installs and is given a rating of 4.5 by Android users.